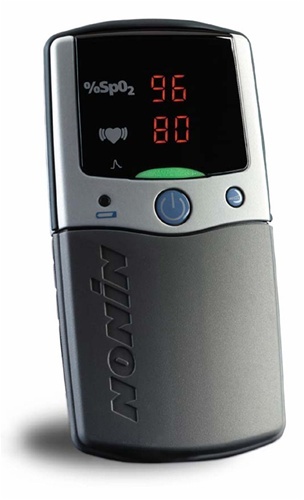 The Nonin PalmSat 2500 pulse oximeter is the next generation in handheld pulse oximetry. Small, yet versatile the 2500 is a digital pulse oximeter designed to accurately assess oxygen saturation and pulse rate. The compact size, and ease of operation make the PalmSat series ideal for your portable monitoring needs, regardless of the patient’s location. Click the button below to add the NONIN PALMSAT 2500 MEMORY HAND HELD PULSE OXIMETER to your wish list.